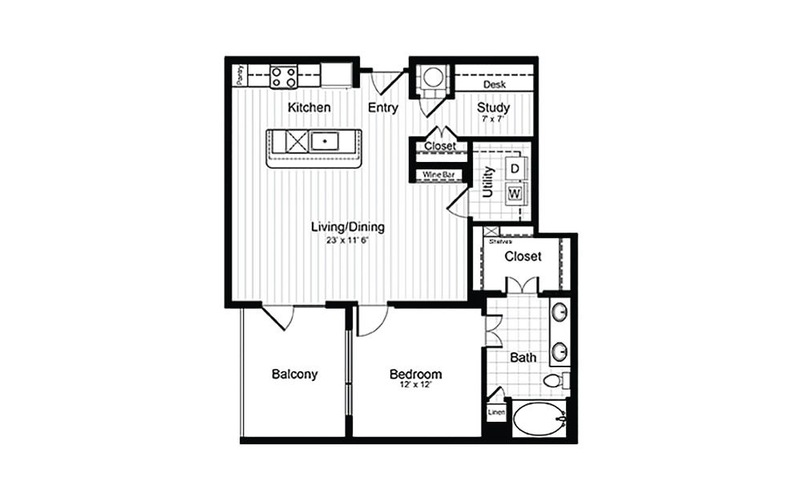 1 Bed | 1 Bath | 925 sq. ft. Unique luxuries include kitchen island, built-in wine bar, study nook with built-in desk, washer and dryer connections, dual sinks in the bathroom and hardwood flooring.